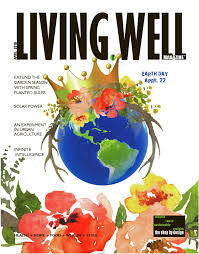 Below are reprints of articles written by Dr. Scott Rosenthal that have been published in his monthly column in Living Well Magazine. Are you wasting your money on BROCCOLI? Back Surgery?? READ THIS FIRST! Hug Away Stress and Lower Blood Pressure! HAVE BACK PAIN? Are you OVERPAYING for relief? Are you getting the BEST care? Find What is Underlying the Symptom to Regain Health! If the wisest and most skilled doctor offered you advice about your body or mind, would you take it? Again he or she offers it, but this time with greater vigor and volume! -Still you heed NOT the warnings! The GIANT value of little SPROUTS! The Hard Truth About Soft Drinks! Has American HOLISTIC Care Become Full of Holes? The Uncooked Delight of Raw Food! Protect Your Low Back with Everyday Yoga Techniques!